4. Fast Revolution may further be divided into two types: a popular revolt against political authority, and the overthrow of a bad ruler by subordinate lawful authorities. The first is an act of rebellion, the second an act of political responsibility. Calvin allowed for the second type – the defeat of tyranny through, and for the sake of, law. But he believed the first type is impermissible since lawlessness is an even greater evil than injustice. Christians, he noted, are able to live faithfully within many different kinds of social orders, including very unjust ones. 5. For the most part, Christianity has been a "revolutionary" force in society only in the sense of a Slow Revolution. The Christian message has the capacity to transform a society through the gradual reform of human relationships and institutions over many successive generations. 6. Historically, Slow Revolution has proved much more lastingly transformative than popular movements of Fast Revolution. In the great modern revolutionary movements, an initial period of terror and bloodshed is generally followed by a return to pre-revolutionary structures with minor modifications. As Crane Brinton has said of the French Revolution, "The blood of the martyrs seems hardly necessary to establish decimal coinage" (Brinton, Anatomy of Revolution). 7. Distinct from all these types of revolution is civil disobedience. Civil disobedience is not rebellion against political authority but an act of political responsibility in which some particular law is broken for the sake of another (more basic or more important) law, or for the sake of some widely shared value in a society. Christians have a long and illustrious history of civil disobedience. 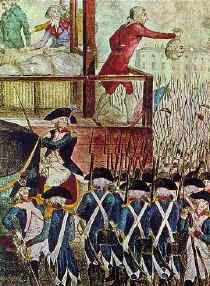 Martyrdom involved the dual act of submission to lawful authority (i.e. submitting to a penal sentence) and disobedience to the same authority (i.e. refusing to participate in the imperial cult). Even such an extreme form of civil disobedience was carried out on behalf of, and not against, the existing social order. 8. Where Christians have refused to participate in certain institutions, they have done so not in a spirit of rebellion but as a form of deeper social solidarity. Early hellenistic critics claimed that Christians posed a threat to the social order because of their refusal to serve in the army. Origen replied: "We help the emperor in his extremities by our prayers and intercessions more effectively than do the soldiers…. In this way we overcome the real disturbers of the peace, the demons. Thus we fight for the emperor more than the others, though we do not fight with him, nor at his command" (Origen, Contra Celsum). 9. Thus throughout its history the church has proved to be an "unreliable ally" in every social order (Karl Barth). As civilisations rise and grow old and eventually sink into ruin and decay, the Christian community renews itself continually through its gospel of a transcendent order of righteousness and peace.